Graven Games taaakes a look aaat the Waaagh! Ghazghkull supplement from Gaaames Workshop in this review aaarticle. Ghazgkull Mag Uruk Thraka, prophet of Gork and Mork, has long stood within the obscurity of his defeats and apparent inability to conquer a single planet (Piscina VI, Armageddon during the second war). 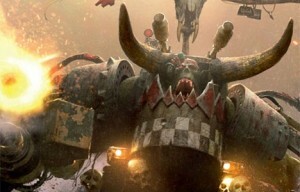 The Waaagh Ghazgkull book puts all of these events in a new light, bringing forward new details of the conquering of Uruk, the events that brought about the deadlock on Armageddon and the tales of the fresh hell occurring within Octaria and how Ghazgkull has shaped these conflicts.